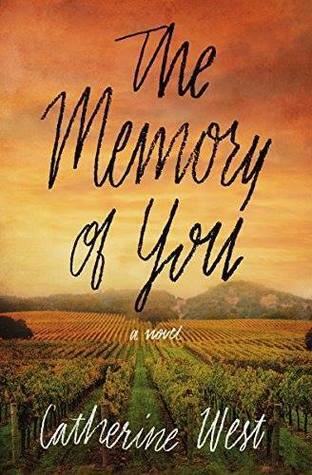 Set in the heart of California wine country, The Memory of You will pull on your heart and emotions. Facing the secrets of the past, Natalie and Tanner must overcome so much if they ever want to be free from the guilt and the pain that they have endured. Natalie Mitchell has spent the last 13 years traumatized with guilt and PTSD. Tanner has to live with the consequences of decisions he has made. Both are vulnerable, both are guarded, they don’t want to open up and let someone in. They have even shut God out. As they journey along the path of forgiveness, acceptance, and reconciliation with both their heavenly father and their earthly fathers, we see their souls barred open. We see into the depths of their hearts and feel the agony and the pain that they have had to overcome. Watching the romance blossom and grow in this story made my heart all a flutter. Catherine approached it in a very tender and sincere way. I know that Natalie and Tanner are fictional characters, however, their experiences can be very real. I myself have anxiety and panic attacks (for completely different reasons than Natalie). We can’t walk this path alone. Trying to be strong and just push on for another day, isn’t the only solution out there. Find someone, whether it be a relative, a friend, a therapist…to reach out to. Open your heart to God, allow his forgiveness and his GRACE to flood you, for HE will bring you new life. His grace is enough. I pray that as you read this powerful story, that the words would resonate in your heart. That it would give you hope, that you would know you are not alone and that your heavenly Father is watching over you and guiding you to safety. The Memory of You is a stand alone novel. I received a complimentary copy of The Memory of You from the publishers, Thomas Nelson. I was not required to write a positive review. All opinions expressed are mine alone.